NOW THIS IS A BOOK!!!!!! Unlock your creativity with design classes and techniques. 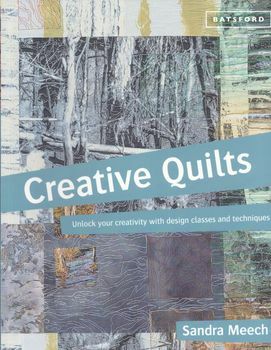 Sandra Meech is a leading contemporary quilt artist . Creativity Plus and Design Workshop sections give practical exercises to help you reach the highest level of creativity. Luv It!